Well we made it to Sydney, dropped in on Brett and Annette met their dog Ranger and crashed for a couple of nights. Today was our first recce into Sydney to see what all the fuss is about. Rob wasn't too impressed I have to say. 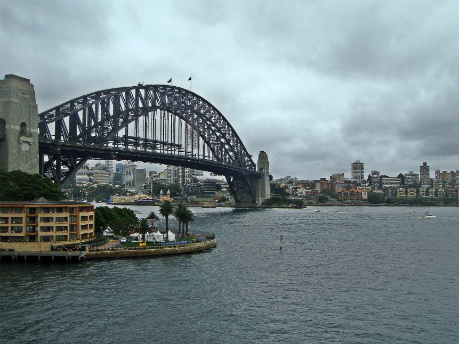 Here is a snap of the bridge, hopefully near to where we will be standing tomorrow night for New Years 2009/10!